Caper people are serious about capers. And no one is more serious than the people of Pantelleria, a tiny volcanic island between Sicilia and Tunisia. La Nicchia salted capers are hand-picked by the islanders the same way they have been for centuries, and cured and packed in Trapani sea salt. They have a delicate, slightly floral flavor, and a dense, meaty texture. Rinse the salt off the capers in a strainer when you’re ready to use them to whip up traditional Sicilian dishes like caponata and spaghetti con bottarga. Capers instantly add rich Mediterranean flavor to pizzas, salads, grilled fish or meat - or toss them with fresh tomatoes for a delicious bruschetta topping. Capers are the buds of the caper plant’s flowers, harvested early while the buds are still small, firm, and green. Workers endure hot sun, sharp thorns, and rugged terrain throughout the summer to pick the precious buds as they ripen. Once picked, the capers are preserved in Trapani sea salt, which allows the capers to maintain their fragrance and texture for years. The whole process is done entirely by hand, including the packing of the capers in jars and bags. Capers grow abundantly in many areas of the Mediterranean, but Pantelleria capers are unique for several reasons. The island grows a rare variety called spinosa nocellara - found only on Pantelleria - harvested and processed following the traditions of generations of islanders whose livelihoods have depended on the production. 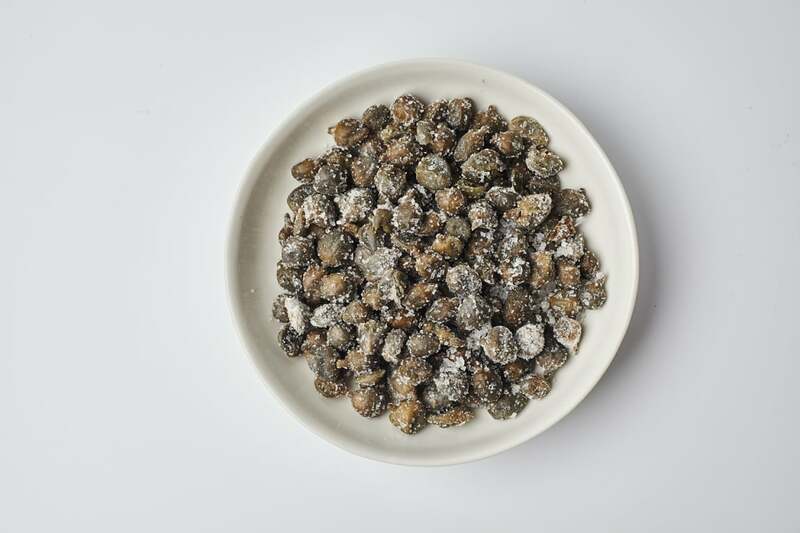 According to Gabriele Lasagni of La Nicchia, the island’s volcanic soil gives the capers their delicate flavor, and the temperature fluctuation between hot days and cool nights gives them their strong fragrance. All these factors make Pantelleria capers the very best available - and the only ones recognized by the IGP (Indicazione Geografica Protetta) certification. Since its founding, the company has expanded to include caperberries (cucunci in Sicilian dialect) and Zibibbo raisins. La Nicchia strives to present the best of what the land has to offer, crafted in the simplest way possible.